Update April 29, 2014: Several of my original identifications were incorrect or incomplete. 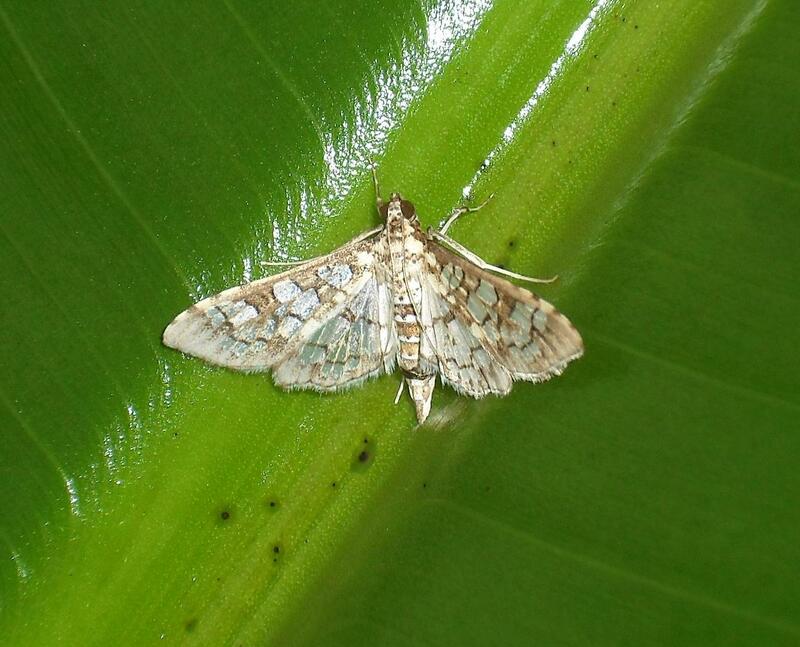 A huge thanks to Andy Warren (@AndyBugGuy) for providing corrections and additions! I’ve updated the text and photos below. 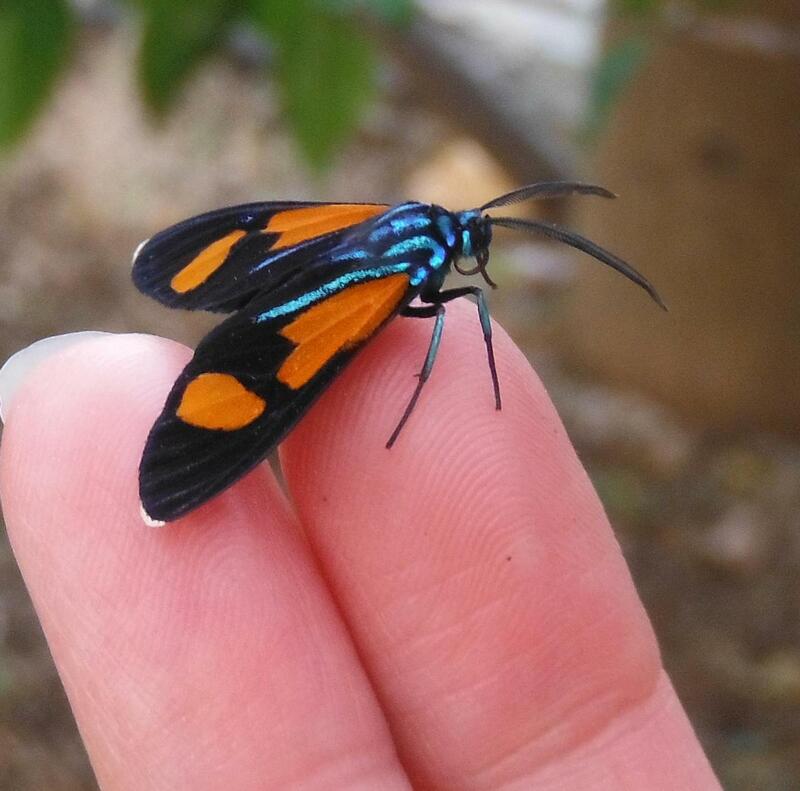 Cuernavaca has some spectacular moths! I’d like to share with you a few of the beauties I’ve photographed here over the last year. 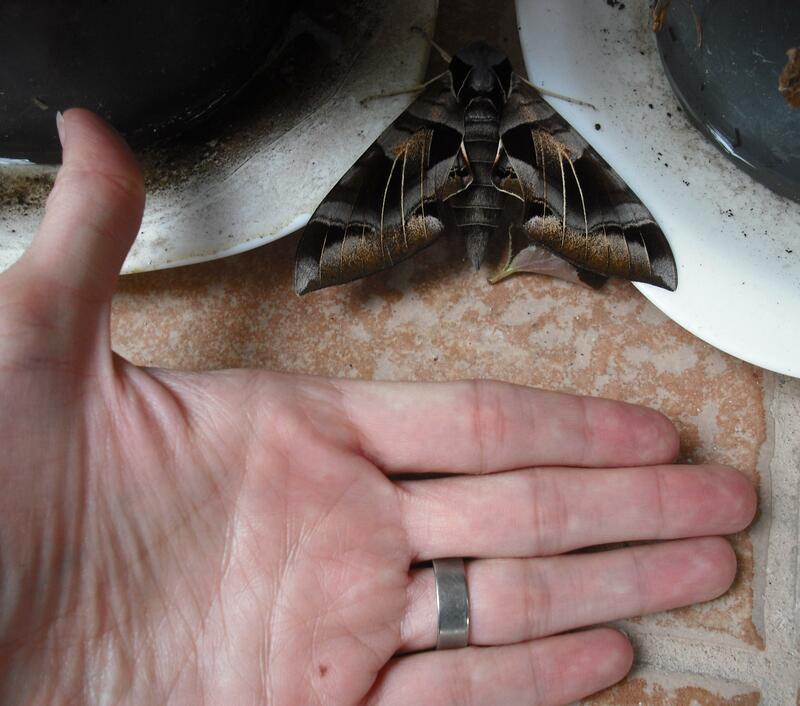 Some of the critters below were identified by kind naturalists and entomologists on Twitter – my thanks to Andy Warren (@AndyBugGuy), Timothy Bonebrake (@bonebraking), and Lee Dingain (@LeeDingain)! Others I have tentatively identified myself, or have marked as ‘unknown’. Please help me give these critters names, if you can! 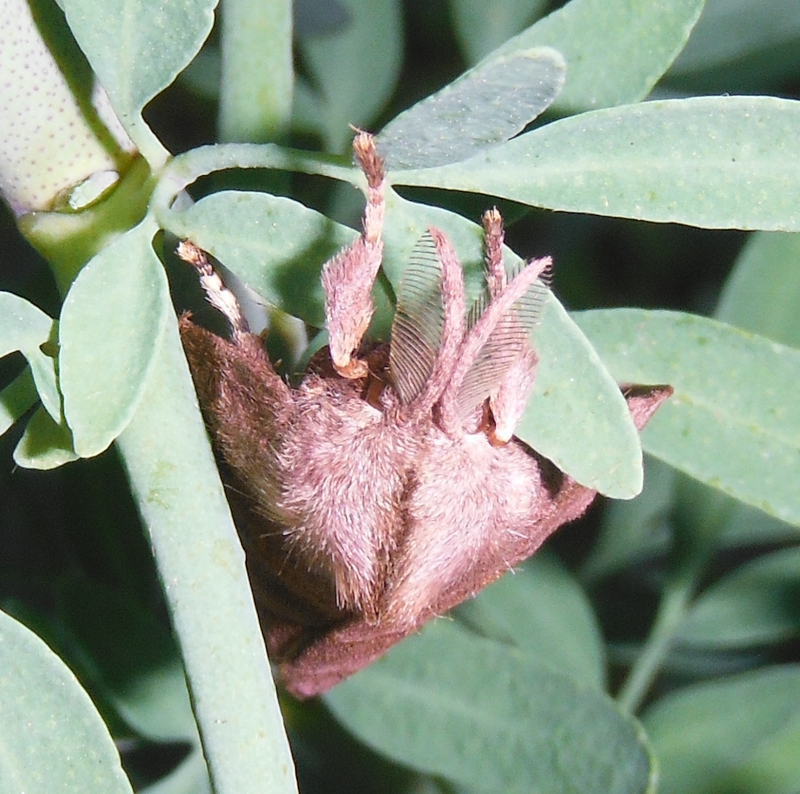 Velvet Bean Moth, Anticarsia gemmatalis. 1. 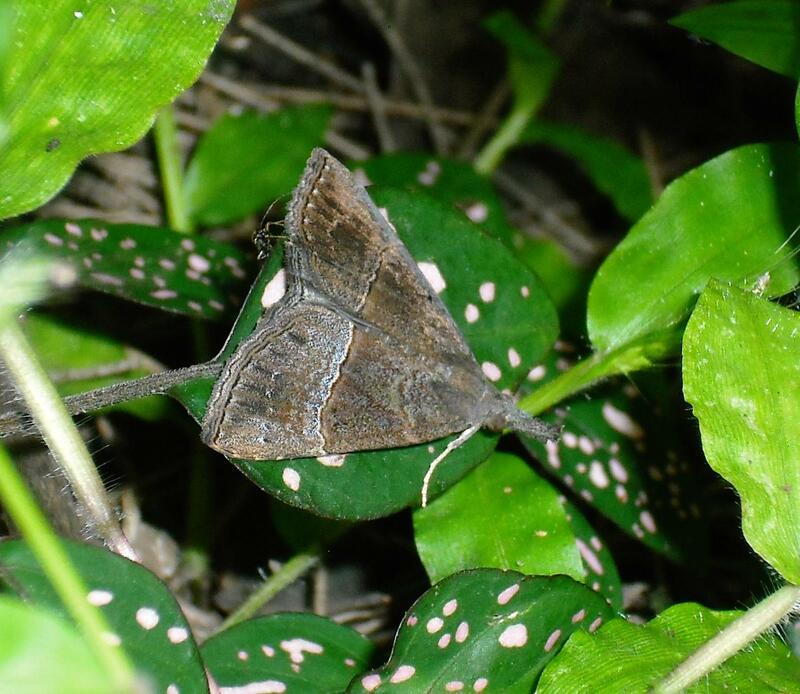 Anticarsia gemmatalis. Observed Oct. 15, 2013. 2. 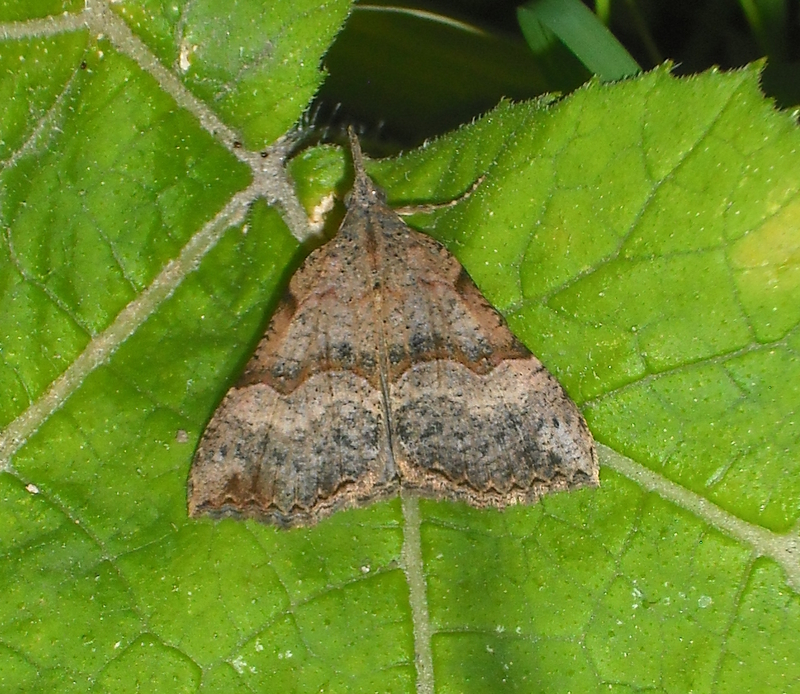 Anticarsia gemmatalis. Observed Oct. 1, 2013. 3. 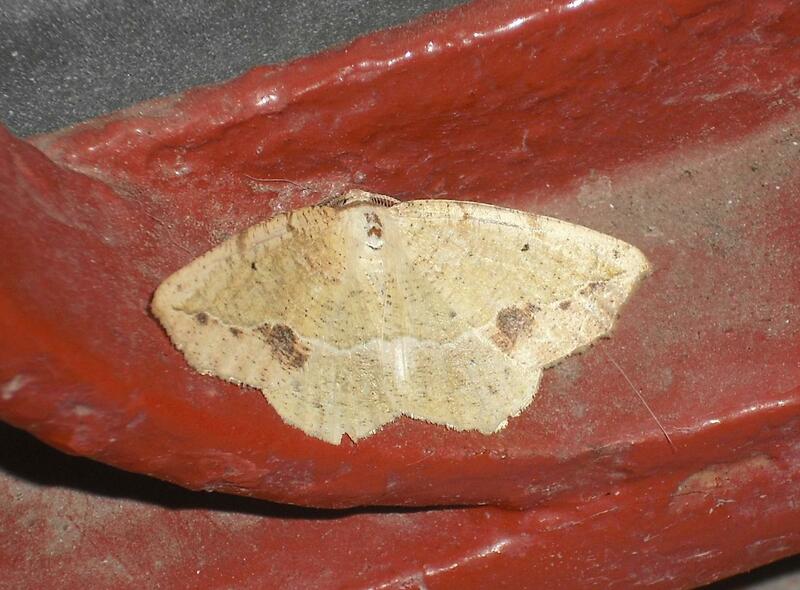 Anticarsia gemmatalis. Observed Nov. 30, 2013. 4. 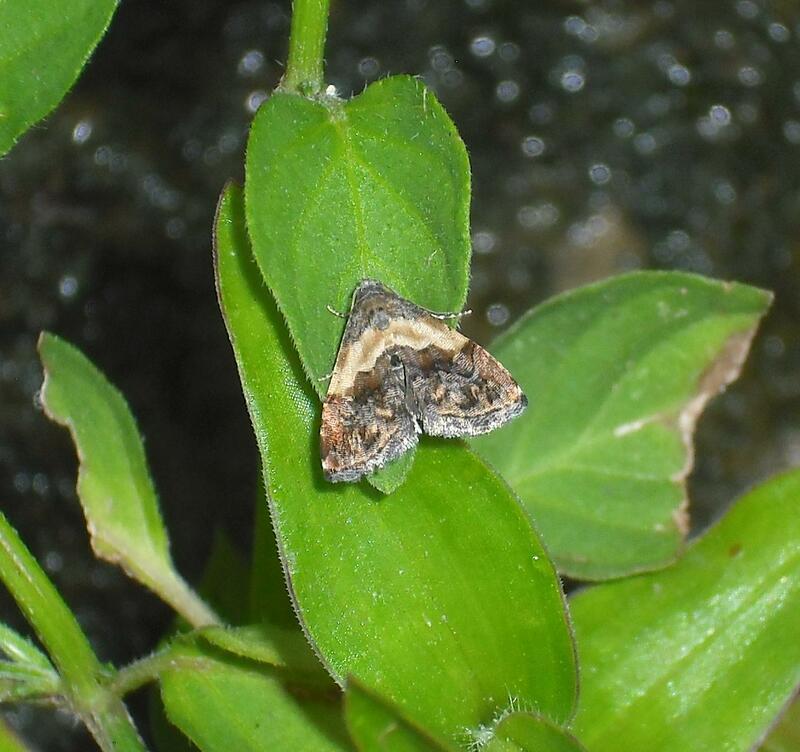 Ascalapha odorata, male. Observed Oct. 10, 2013. 5. 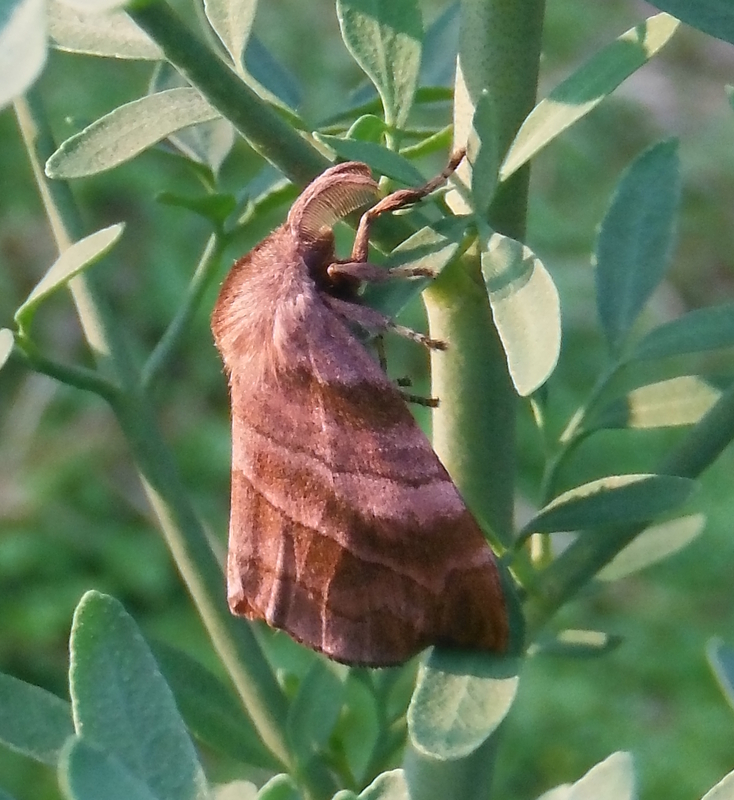 Ascalapha odorata, female. Observed Nov. 16, 2013. 7. 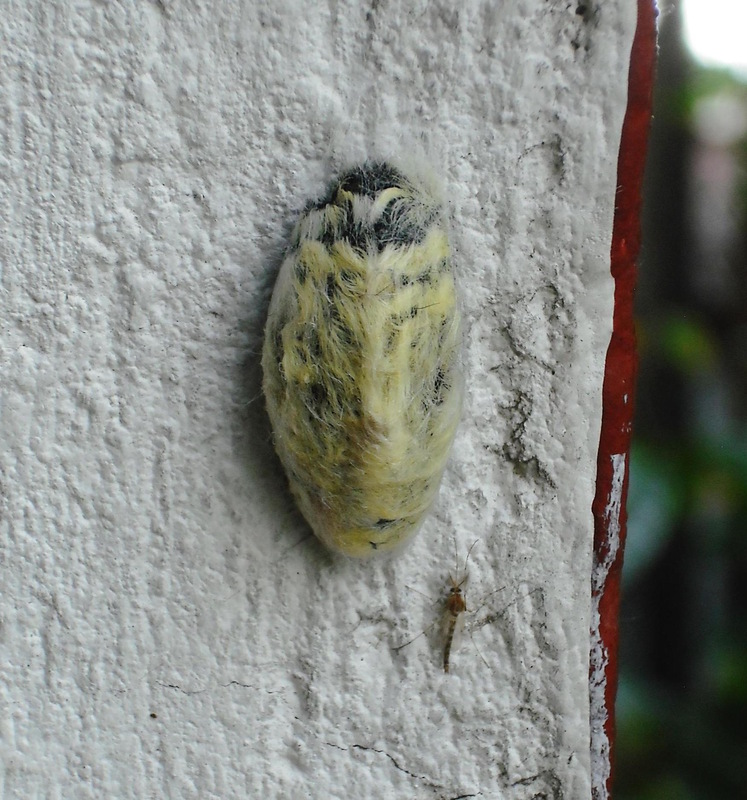 Megalopyge sp., prepupal larva. Observed Nov. 1, 2013. Although observed earlier in the year, this may be the adult form of the immatures pictured above. 8. Megalopyge sp.. Observed July 19, 2013. 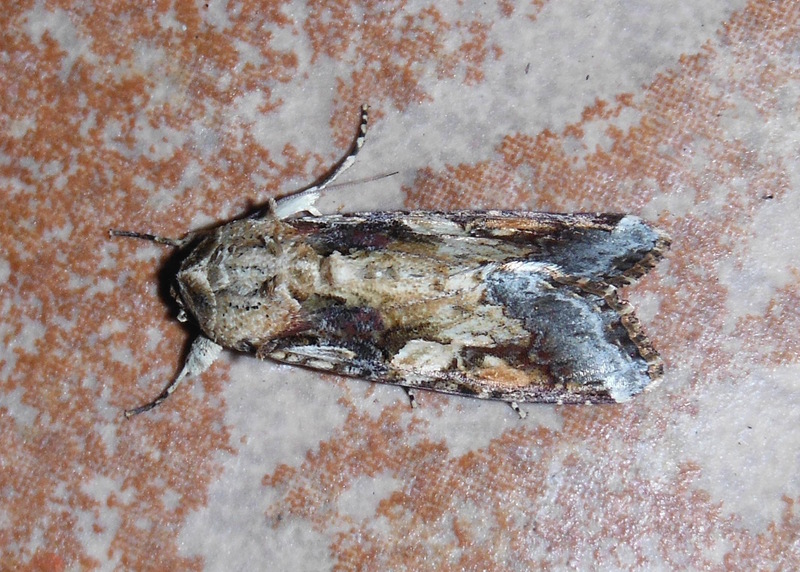 9. . Noctuidae: Acontiinae. Observed Sept. 20, 2013. 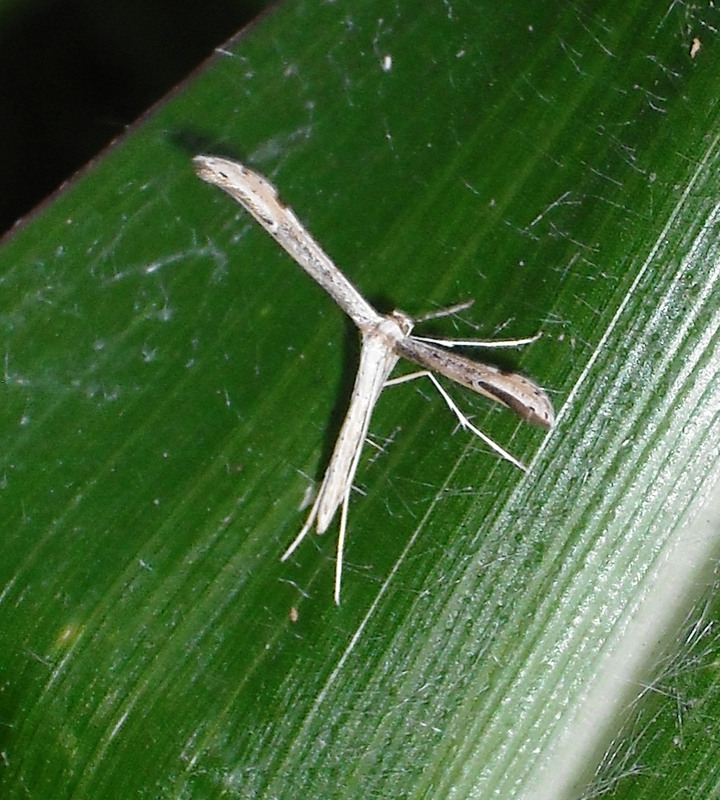 Grass Moth / Crambid Snout Moth, Epipagis sp. 10. Epipagis sp. Observed Sept. 21, 2013. 11. 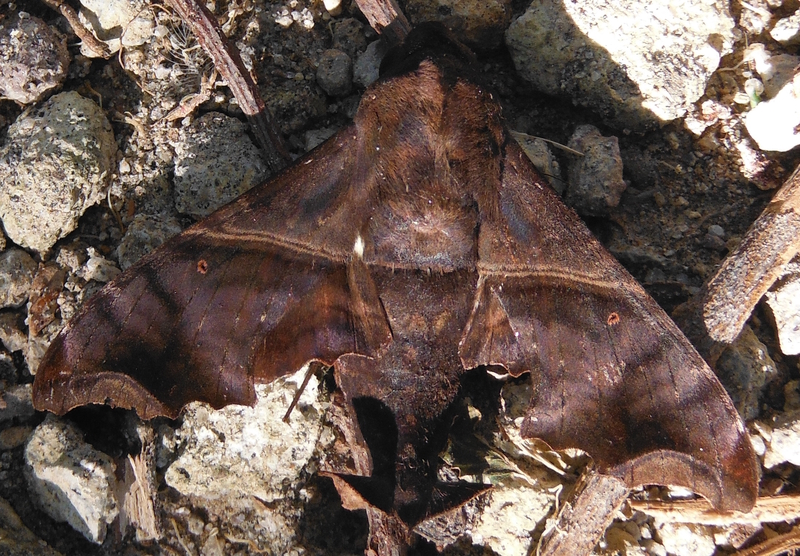 Noctuidae: Hypeninae. Observed Oct. 12, 2013. 12. 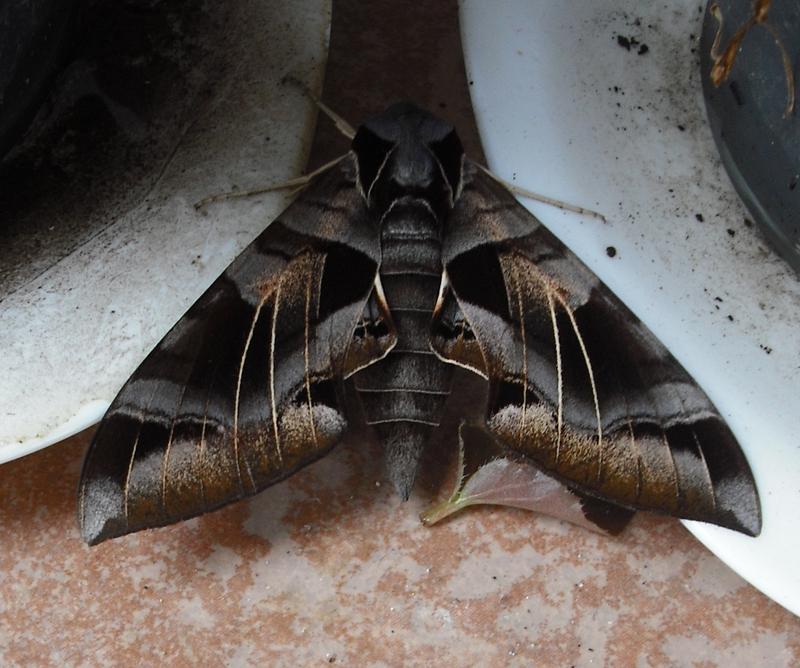 Noctuidae: Hypeninae. Observed Oct. 12, 2013. 13. 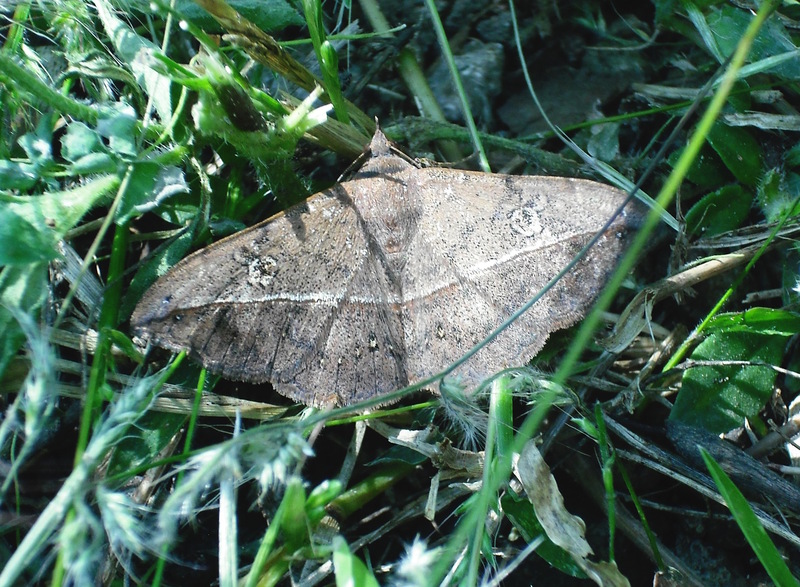 Mocis latipes. Observed Oct. 14, 2013. 14. 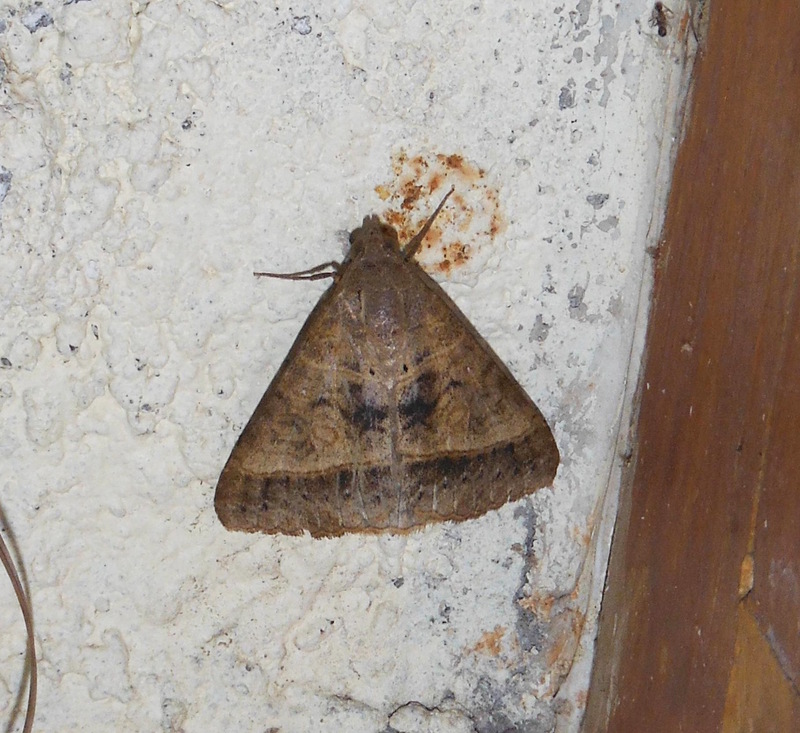 Mocis latipes. Observed Nov. 1, 2013. 15. Amycles sp.. Observed Oct. 26, 2013. 16. 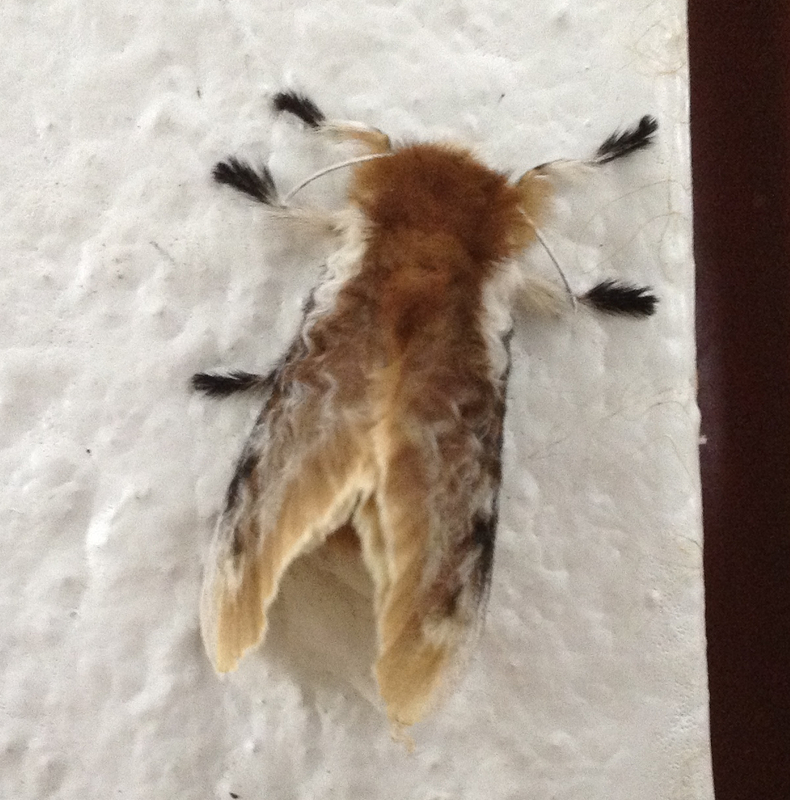 Sarsina sp., nr. purpurascens. Observed Oct. 14, 2013. 17. 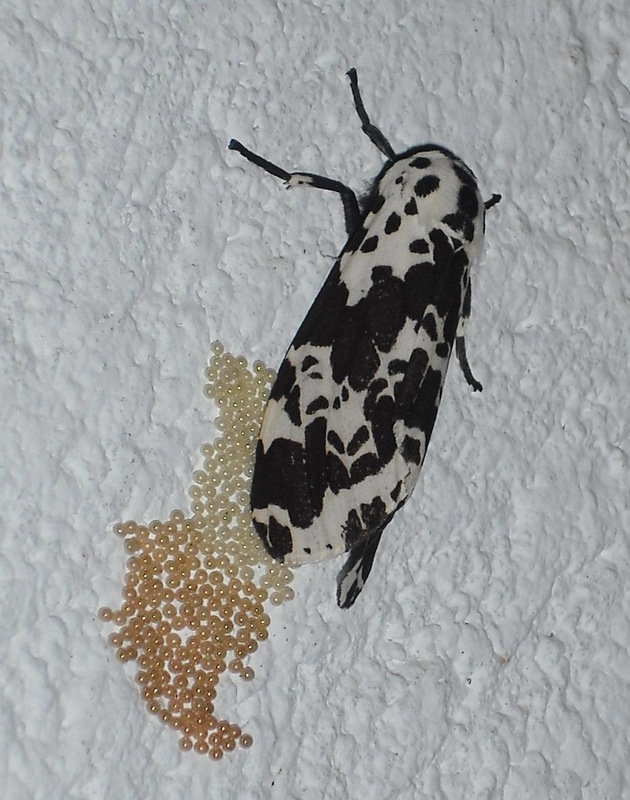 Sarsina sp., nr. purpurascens. Observed Oct. 14, 2013. 18. 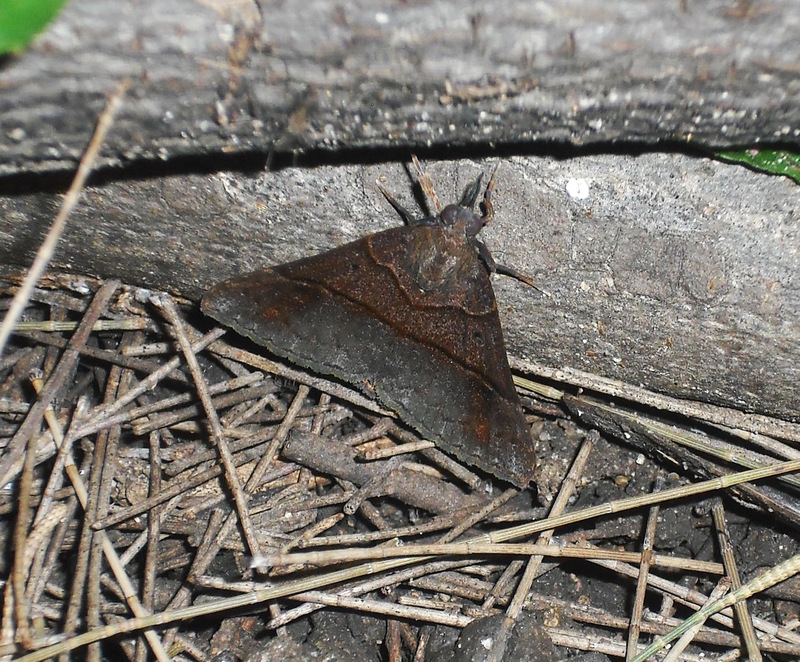 Noctuidae: Noctuinae. Observed Nov. 22, 2013. 19. Enyo ocypete. Observed Nov. 15, 2013. 20. 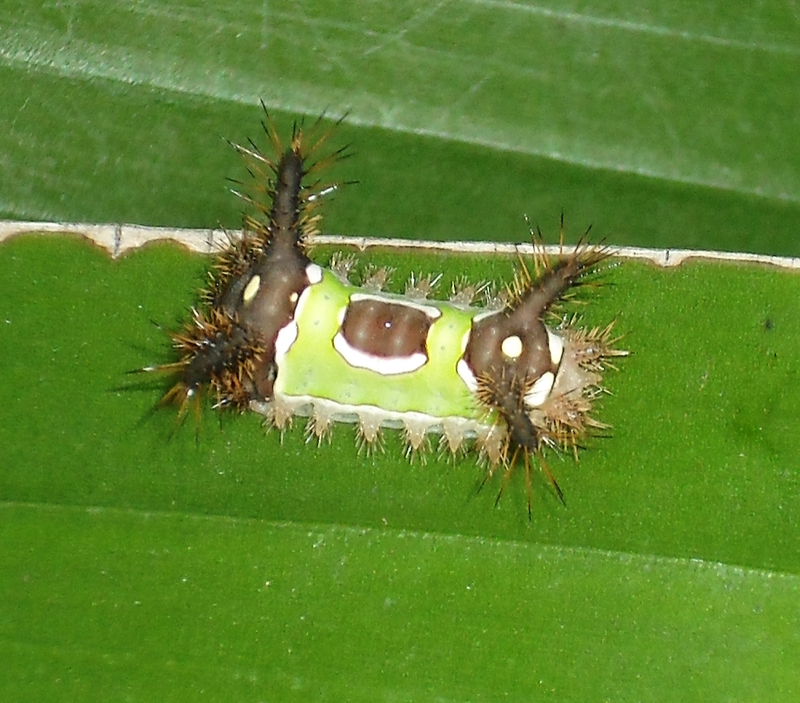 Eumorpha typhon. Observed July 12, 2013. 21. 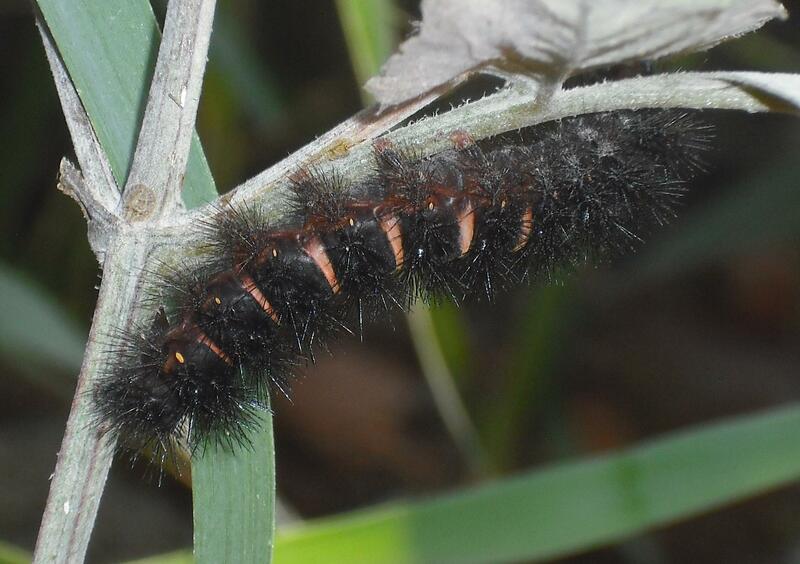 Eumorpha typhon. Observed July 12, 2013. 22. Eucereon sp. 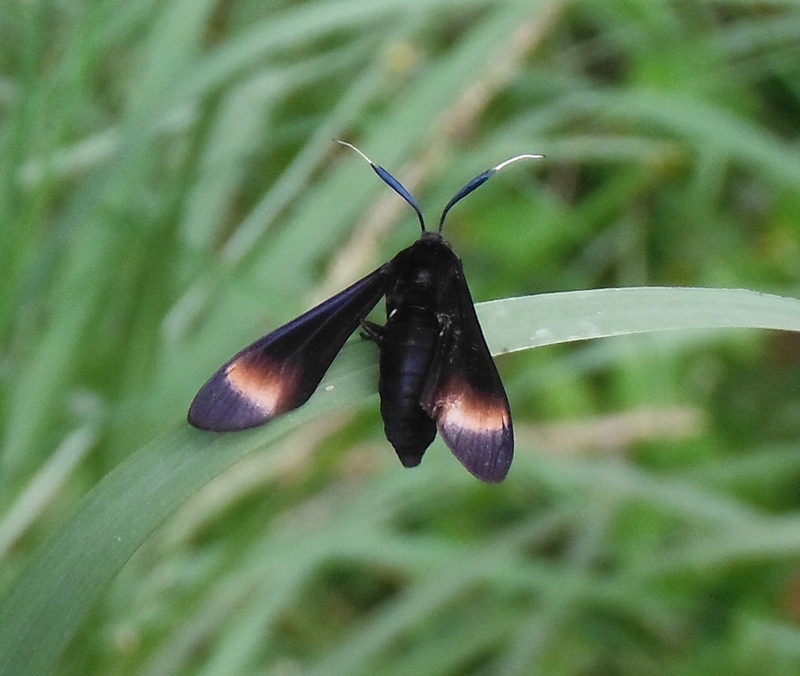 Observed July, 2013. 23. 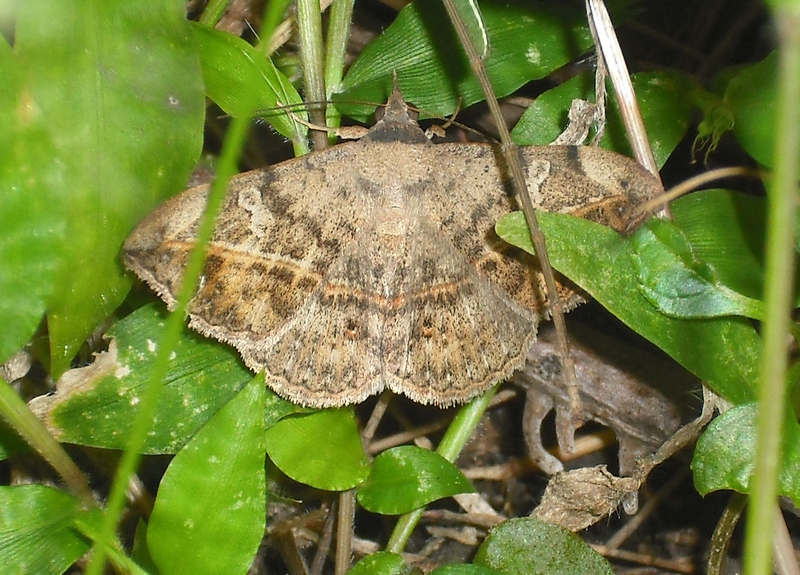 Noctuidae: Hypeninae. 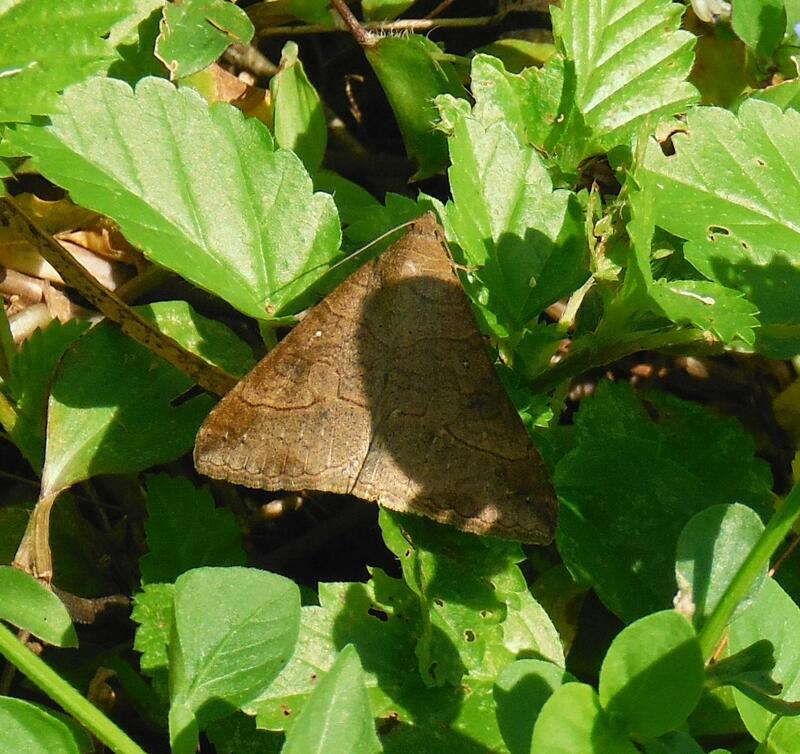 Observed Aug. 27, 2013. 24. Hyoercompe sp. Pictured with eggs. Observed Sept. 8, 2013. 25. Pterophoridae. Observed Sept. 9, 2013. 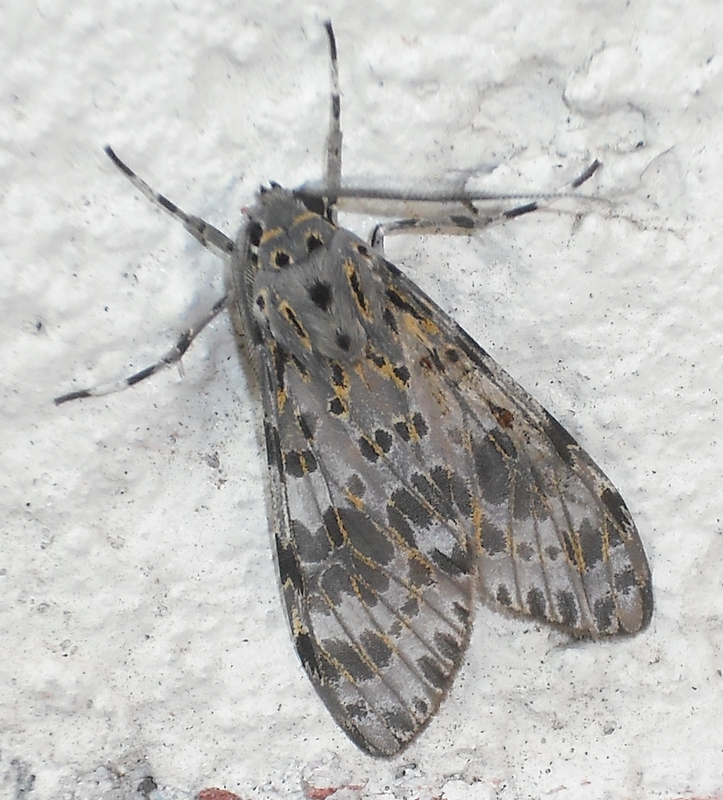 26. . Acharia stimulea. Observed Sept. 21, 2013. 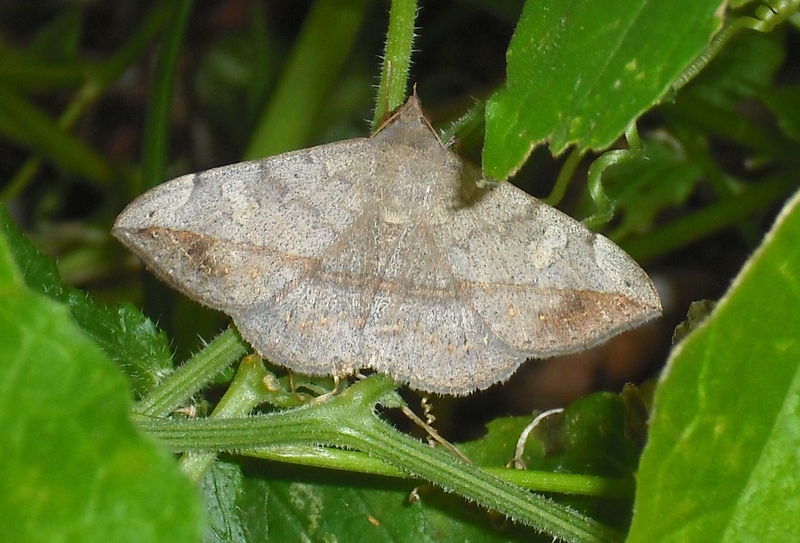 Geometridae. Observed Nov. 18, 2013. 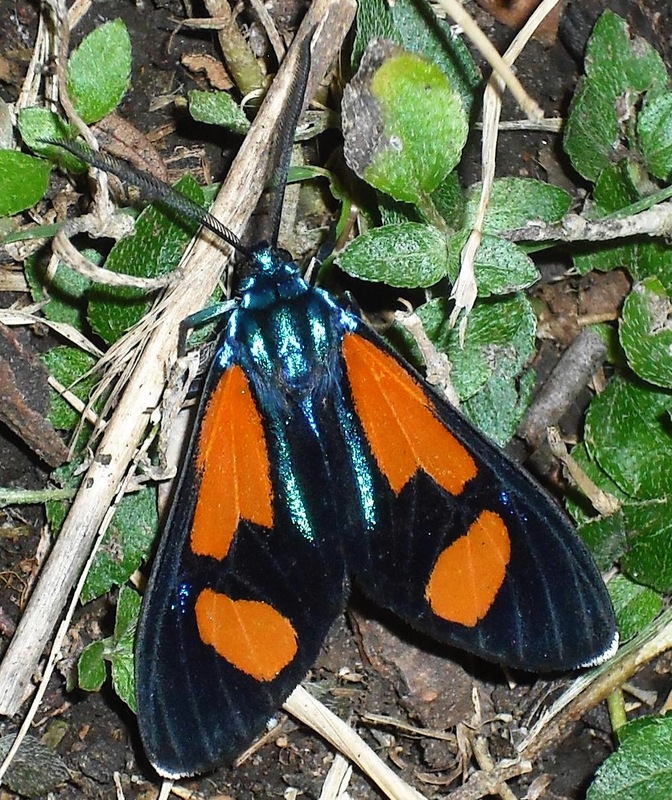 Cyanopepla sp. Observed Feb. 3, 2014. 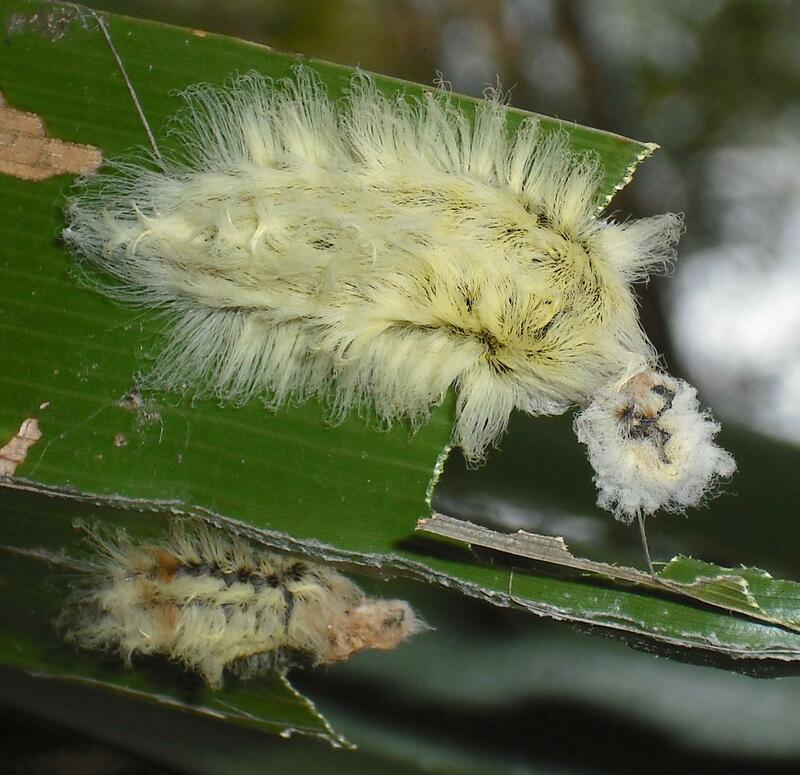 Hypercompe sp. Observed Feb. 18, 2014. Nice! Your number 15 looks like a mimic of a Parachartergus spp.